Same as DMXio but with external antenna. 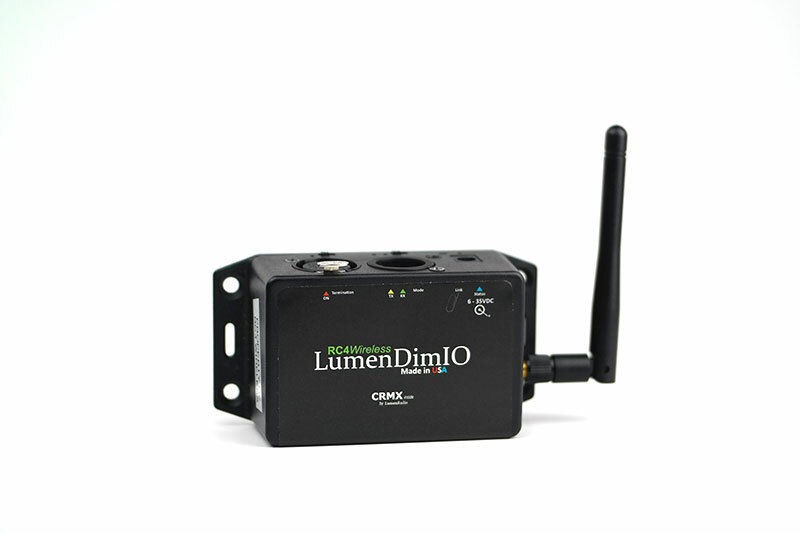 Best-in-class data security, an external antenna, and a Lifetime Warranty make the RC4Magic Series 3 DMXio-HG the very best choice for reliable wireless DMX in any environment. This is the enhanced external antenna version of the DMXio. Also consider the standard DMXio with internal antenna. ** AC POWER ADAPTOR INCLUDED. International purchasers will receive a multiprong adaptor with connections for Europe, UK, Australia, and North America. 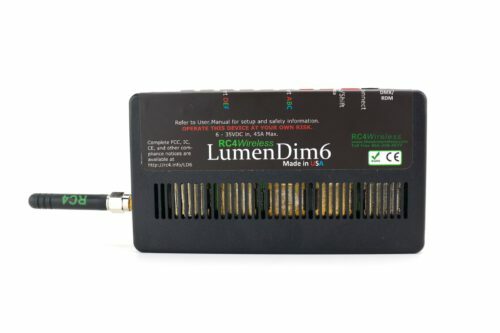 A pair of RC4Magic Series 3 DMXio units (with or without the -HG external antenna option) replaces a DMX data cable in lighting control applications. 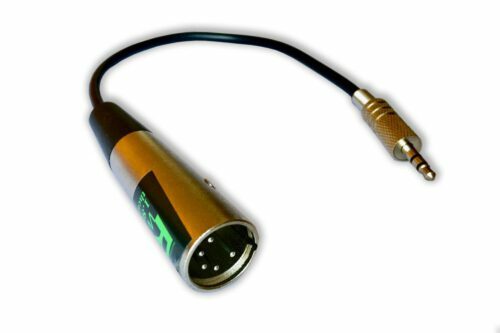 Using a 2 dBi omnidirection antenna (included) they work reliably to 200 feet (65m) or more inside theatres and other performance spaces. 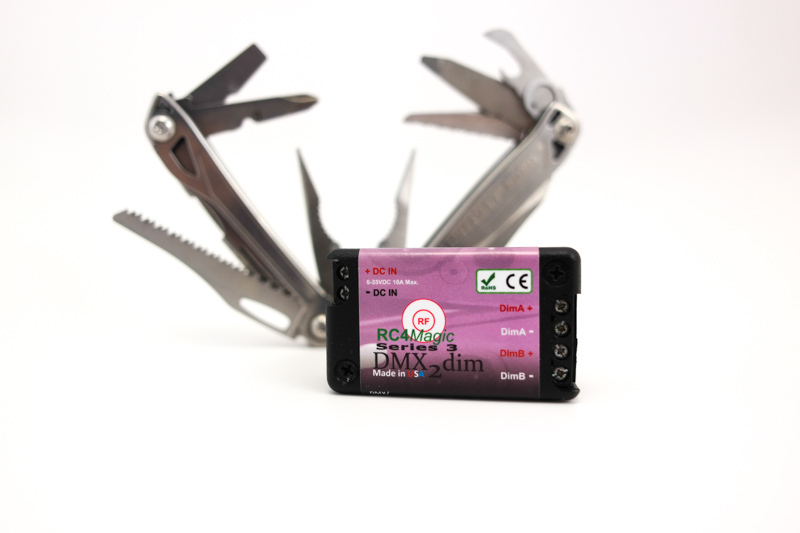 The R-SMA antenna connector makes it easy to connect directional and high-gain antennas for improved range in some situations. For example, a directional antenna will direct the majority of RF energy in one direction, resulting in extended range in a specific area. 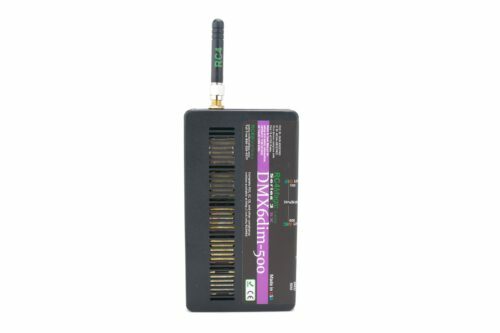 The DMXio-HG is easily configured as a transmitter or receiver with the push of a button, and remembers the current setting until you change it. 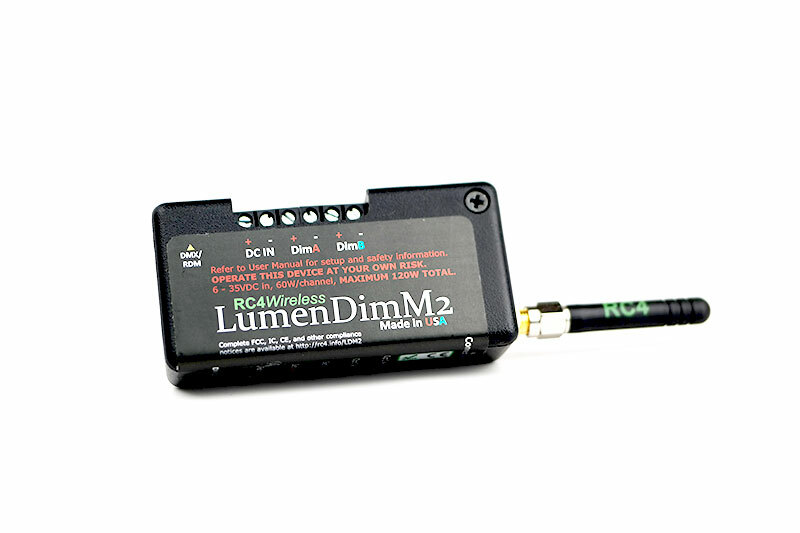 The DMXio is also the transmitter for RC4Magic wireless dimmers, including the DMX2dim, DMX4dim,DMX4dim-500, and more. 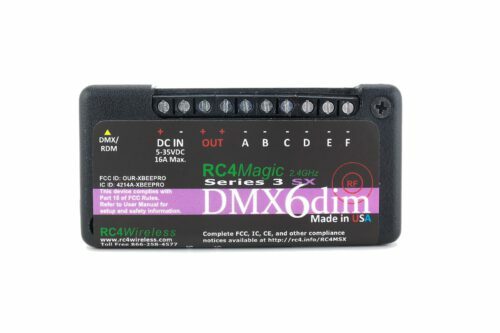 Watch our hands-on tutorial video about DMX cable replacement using RC4Magic Series 3 devices. Each RC4Magic Series 3 system is factory programmed with three unique system IDs. 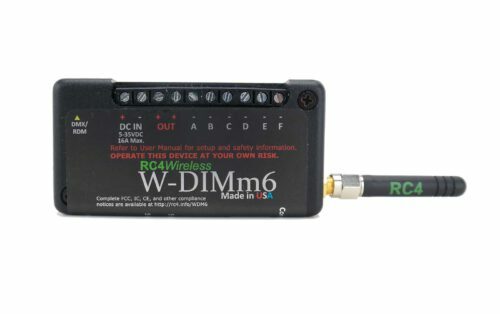 RC4 IDs serve as system identifiers and encryption keys, ensuring interference-free operation anywhere, anytime, worldwide. Every RC4 user and project has their own IDs. Private IDs are shared only by explicit request with a written agreement between all parties involved. A common public ID is also provided, allowing multiple RC4Magic Series 2 and Series 3 systems to be combined and used as one large system at any time. 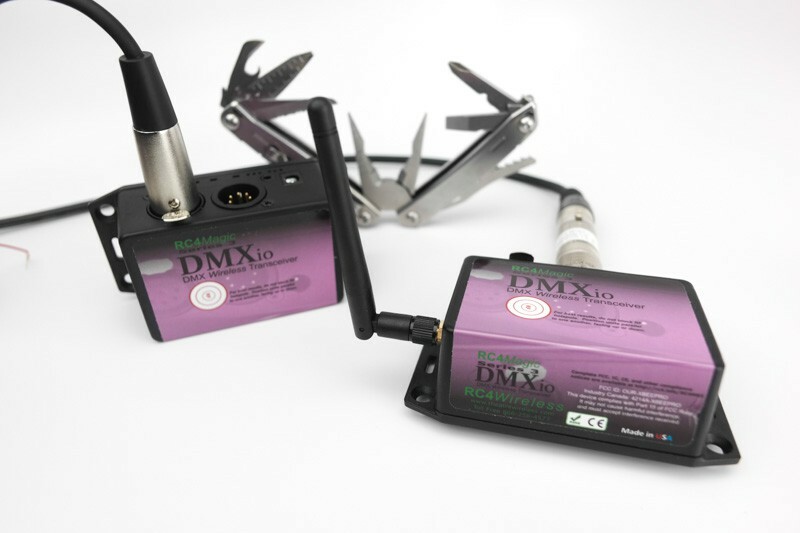 As a transmitter, the DMXio decodes the incoming DMX universe, encodes and encrypts it, and broadcasts it using Direct Sequence Spread Spectrum (DSSS) digital radio. 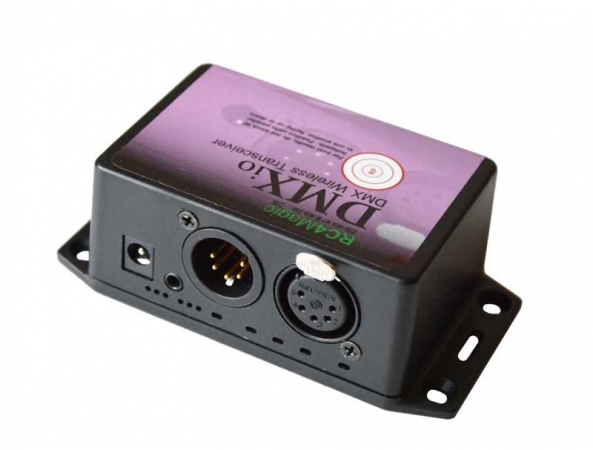 Unlike wired DMX, the broadcast signal includes error checking and correction codes, and is not affected by minor interruptions and interference. DMX channels that are changing are allocated more bandwidth than channels that are not changing, and all channels are broadcast with appropriate speed, redundancy and accuracy. Power can come from the supplied wall transformer, from external batteries, or (optionally via internal jumpers) from XLR pins 4 and 5. 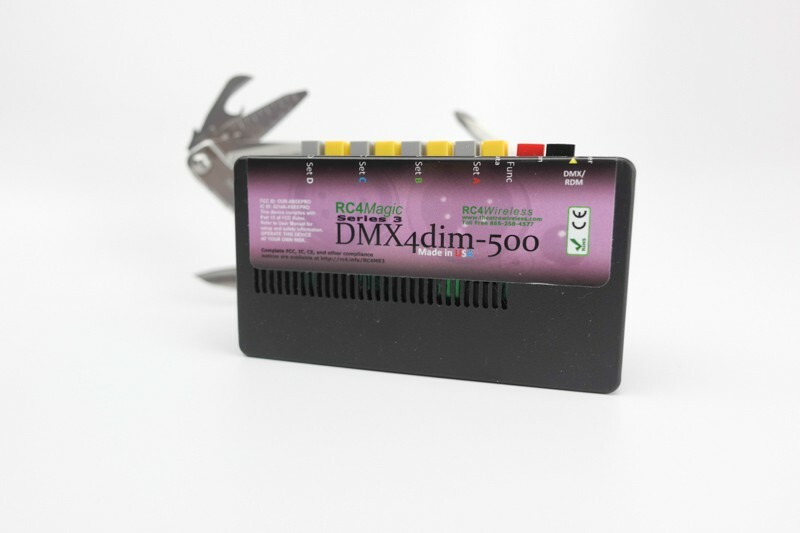 A small pack of 6 AA batteries can be used for portable operation with, for example, a DMXter, Pocket Console, or other battery powered DMX signal source. 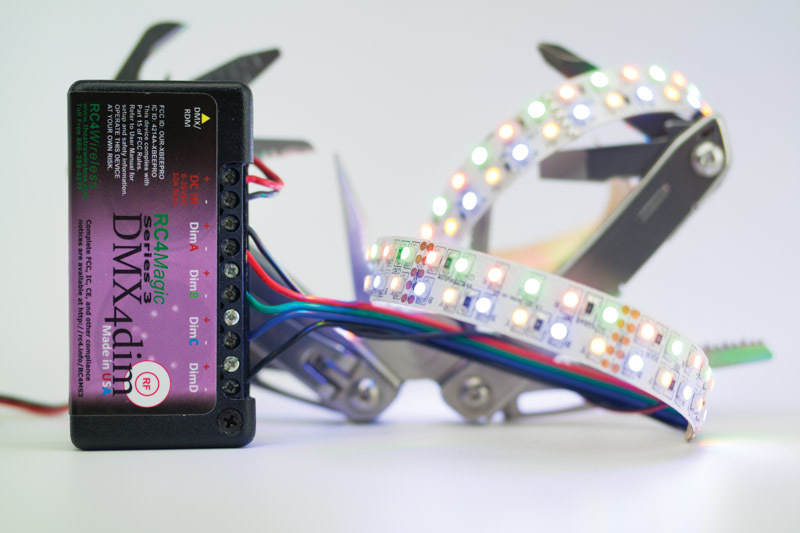 In many cases, the DMXio can be connected right at your lighting console or other controller, before your DMX signal continues to other devices in your system. The distance from console to stage is rarely more than 100 feet, well within the 200 foot range of RC4Magic. Line-of-sight is not required for RC4Magic, but dense objects between units — like concrete walls — will attenuate the radio signal and reduce the available range. The standard model DMXio provides an internal omnidirectional antenna. Sometimes — though rarely — you may wish to use an external antenna. For those cases, select the external antenna option. New for Series 3: The RC4Magic Series 3 DMXio plus an RC4 CodeLoader can be used as a dongle with the RC4MagicPC software. 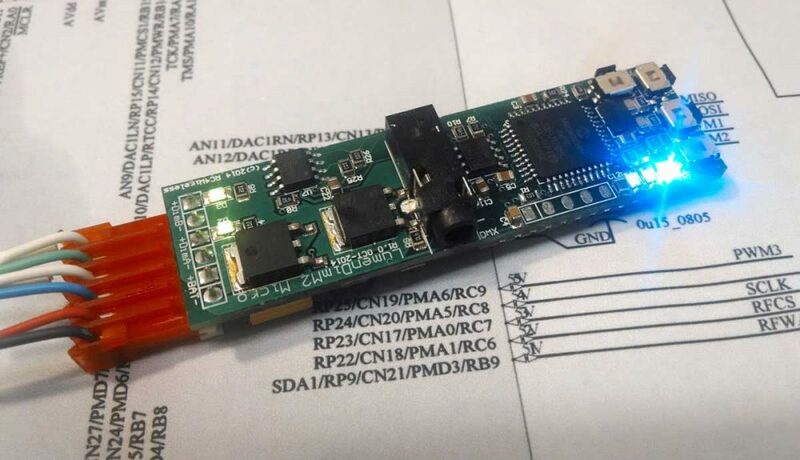 You don’t always need an RC4 Dongle anymore! Power Input: 6VDC – 35VDC, 100mA. AC POWER ADAPTOR INCLUDED. International purchasers will receive a multiprong adaptor with connections for Europe, UK, Australia, and North America. North American customers will receive a standard adaptor for use in USA and Canada.